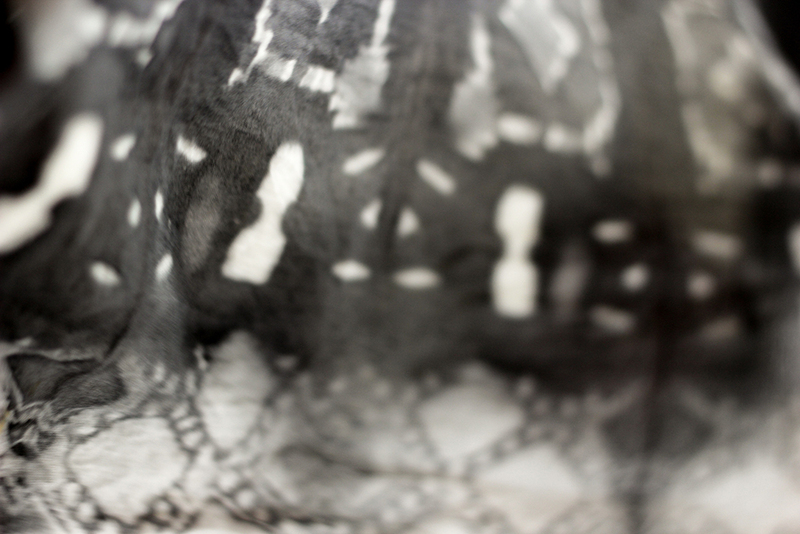 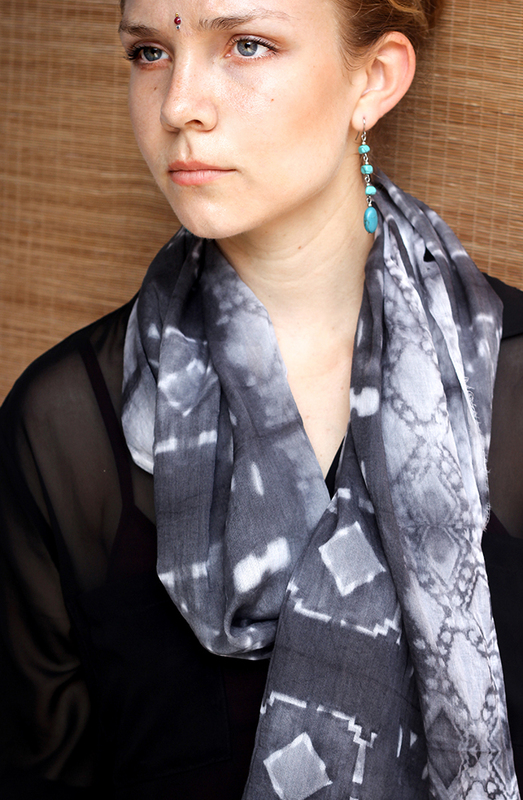 These light cotton scarves were hand dyed using the Japanese "Shibori" technique of dying, where cloth is patterned through a method of binding, stitching, folding, twisting, compressing, or capping. 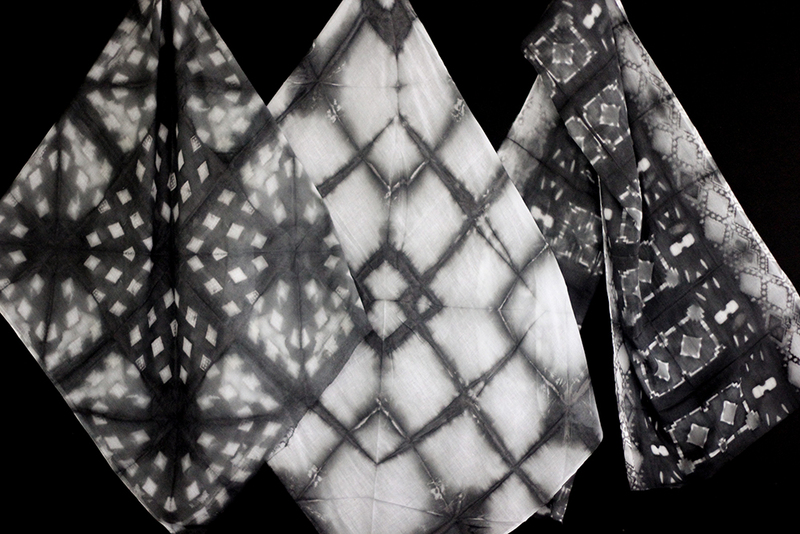 For these samples, the Association for Craft Producer's own wood blocks were re-used, thus applying multiple uses and effects for one process in order to have a variety of outcomes. 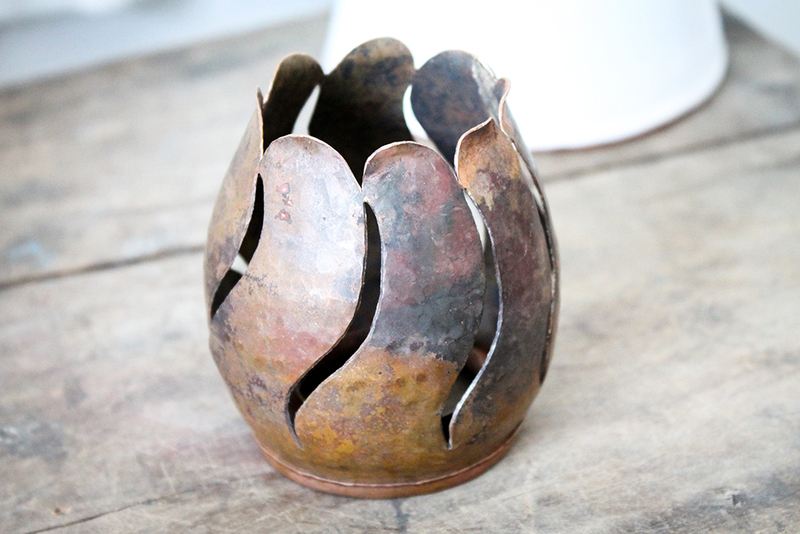 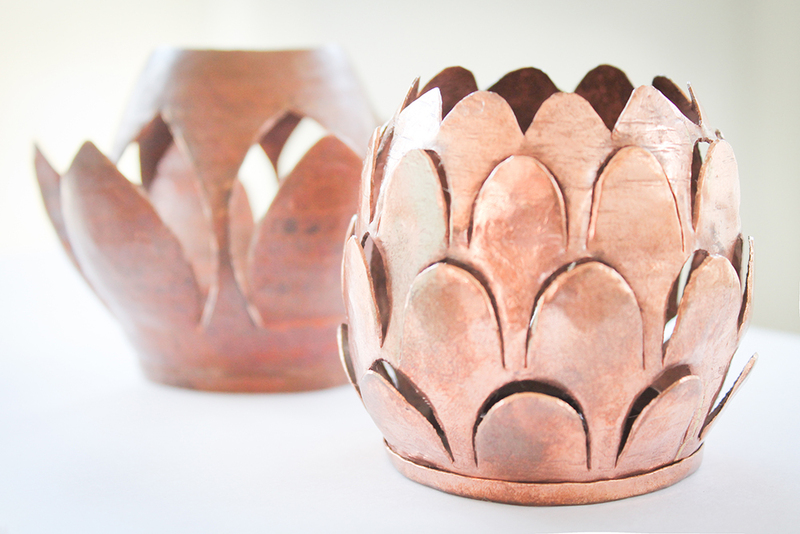 Orthographically designed and hand-hammered, these copper tea lights were inspired by the famous Nepali "momo" dumpling and lotus flowers of the region. 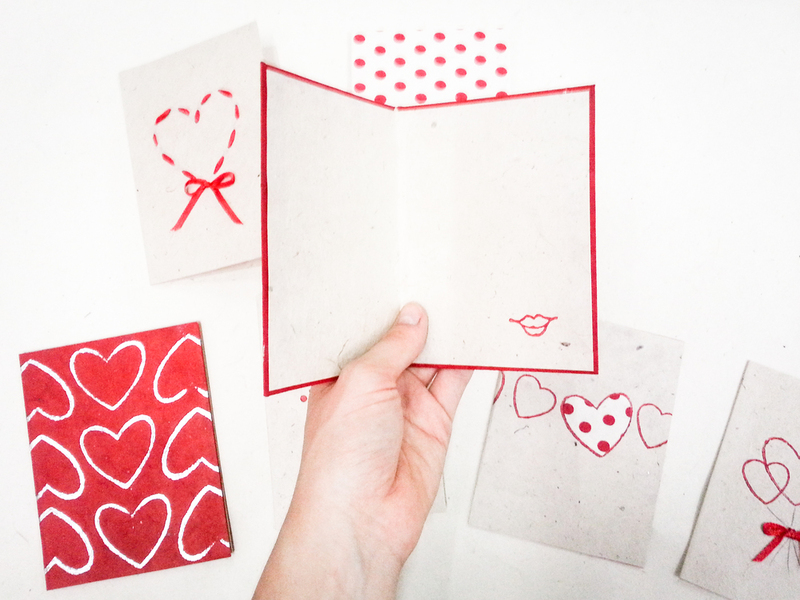 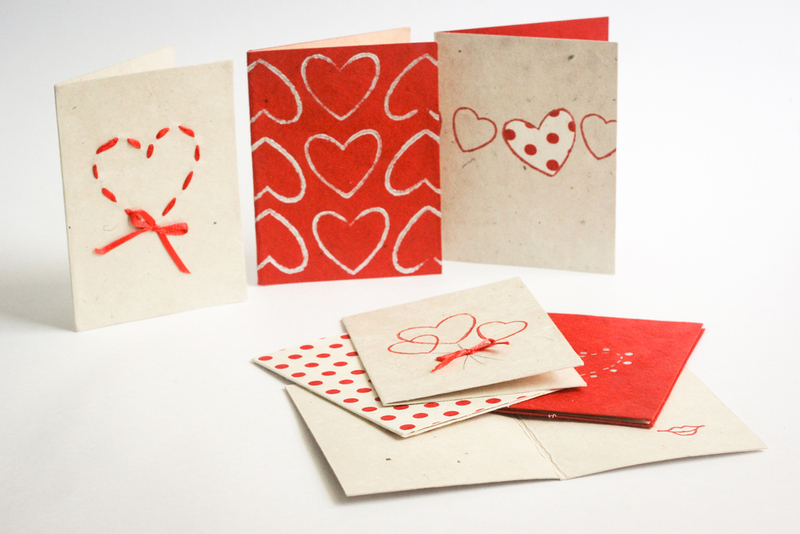 Utilizing existing block prints, hand-made papers, and ribbon at ACP, these designs abstract through repetition in order to create new, imaginative takes on V-Day.